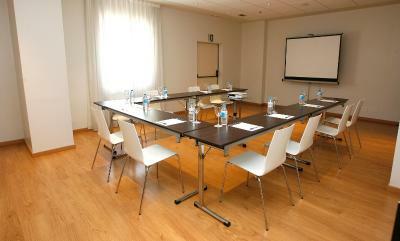 Confortable and clean, close to my meeting place, good value for money. The staff was very accommodating and helpful especially Ms. Bernary. We arrived very early and kept our group luggages on a secure place so that we can continue on our tour. Close to the metro station and has a bus station in front of it. The staff was friendly and helpful. The room was comfortable and clean. The bathroom was big enough for my needs. The hotel has everything needed. It is a practical hotel for a few nights. 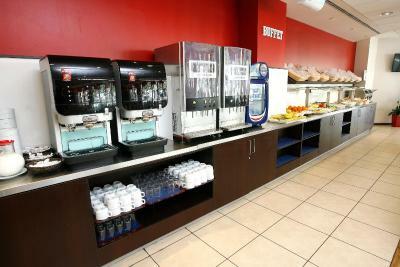 The bar also has a couple of options for meals. 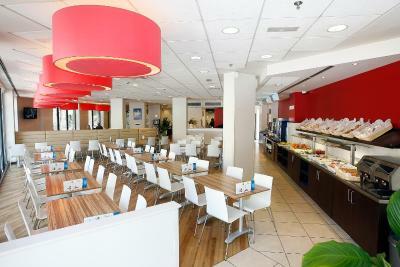 Fantastic location close to the beach and lots of restaurants, cafes, bars. 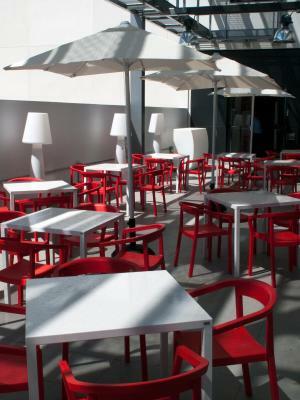 Clean facilities, great smoking terrace out back. Friendly staff. Wouldn’t hesitate to stay here again! 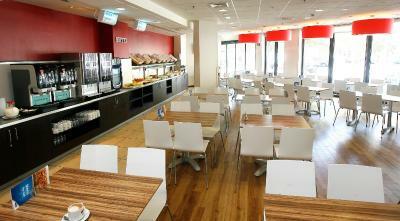 It has easy access to public transportation and good places to eat. The restaurant in the hotel has very good food and excellent drink options ;). It was well maintained, efficient, some nice restaurants and pubs close by. Fairly good breakfast. 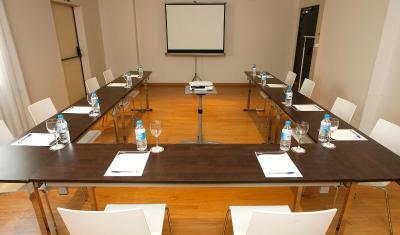 Good proximity to restaurants, metro, shopping mall, taxis. Very nice safe neighborhood. Hotel is very good for the price. Breakfast is really diverse. 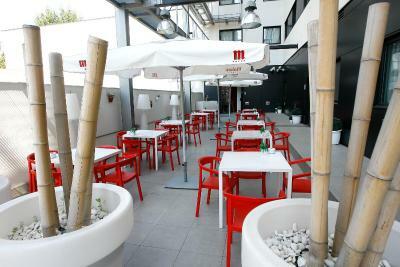 Nice terrace for smokers. Staff very polite and friendly. Maintenance very prompt for fixing room door (Leandro). Would recommend hotel undoubtedly! 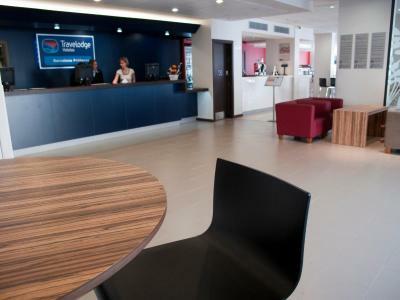 Travelodge Barcelona Poblenou This rating is a reflection of how the property compares to the industry standard when it comes to price, facilities and services available. It's based on a self-evaluation by the property. Use this rating to help choose your stay! 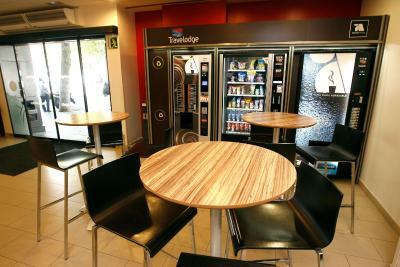 Just 1,950 feet from Bogatell Beach, in Barcelona’s 22@ District, the Travelodge Barcelona Poblenou offers air-conditioned rooms and a café-bar. 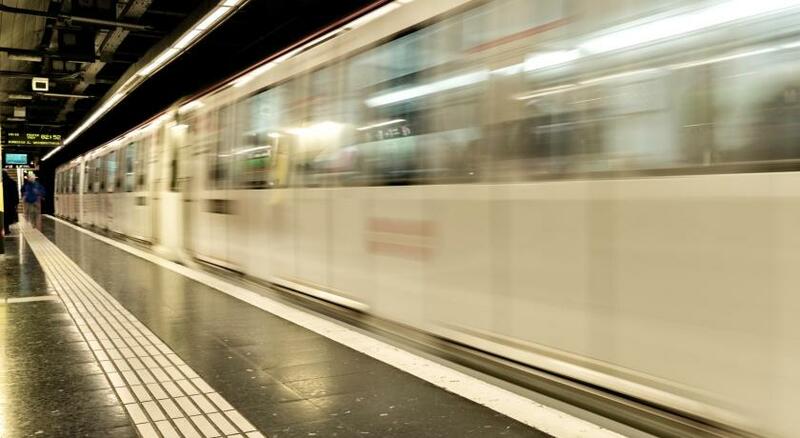 Llacuna Metro Station is a 5-minute walk from the hotel. 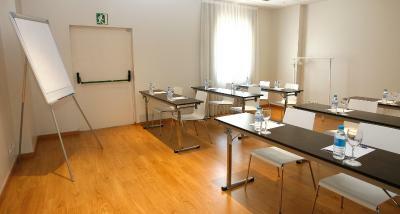 Rooms have modern décor, with parquet floors and colorful finishes. 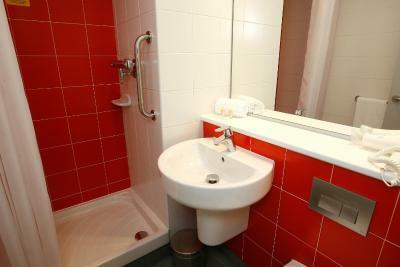 Each one features a flat-screen TV and a private bathroom with bath or shower. Wi-Fi is available for an extra charge in rooms, and is free in the rest of the hotel. 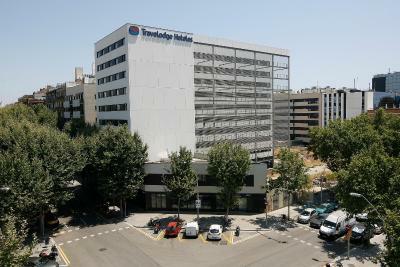 When would you like to stay at Travelodge Barcelona Poblenou? 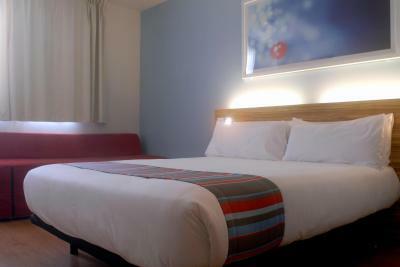 This spacious air-conditioned room has modern décor, a flat-screen TV and a private bathroom. It includes a double bed and a pull-out sofa bed. Wi-Fi is available for an extra charge. Please note this room is for a maximum of 3 adults, or 2 adults and 2 children. 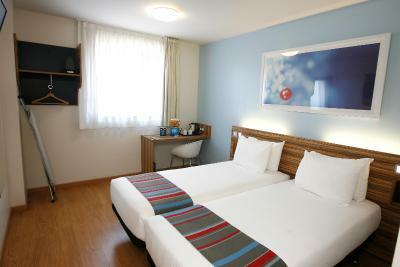 WiFi is available in the hotel rooms and costs EUR 3.90 per 24 hours. 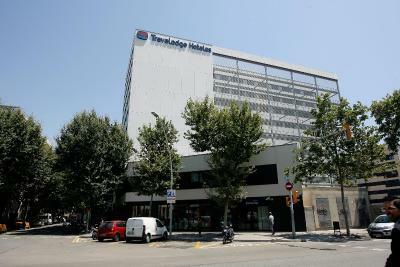 House Rules Travelodge Barcelona Poblenou takes special requests – add in the next step! 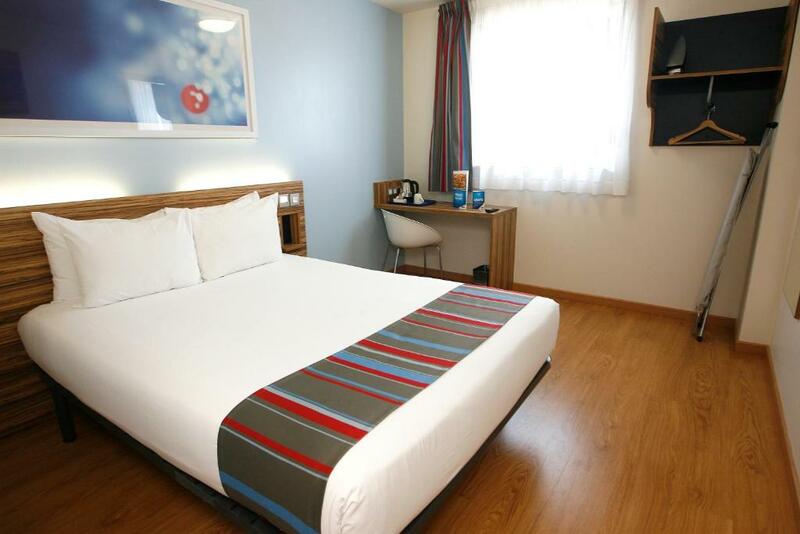 Travelodge Barcelona Poblenou accepts these cards and reserves the right to temporarily hold an amount prior to arrival. 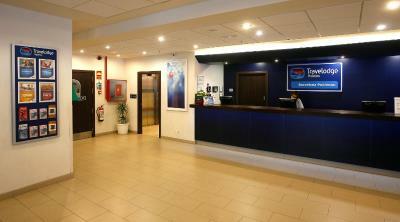 Early check-in and late check-out are available for a supplement of 10 EUR. 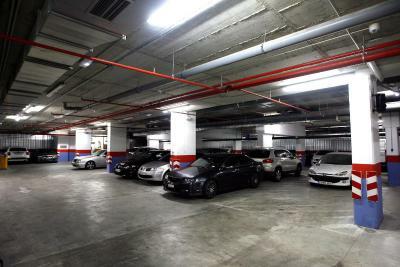 Please note that the parking price of EUR 15 per day applies when the car is not taken out of the parking. Otherwise the price is EUR 3 per hour. They offer paid wifi in the rooms, free wifi only in the lobby. 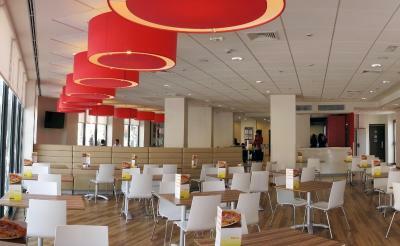 The location is excellent, bus and metro stops within 10 minutes and the centre is 10 min. The hotel is for budget travellers, however, actually, it was better than expected. 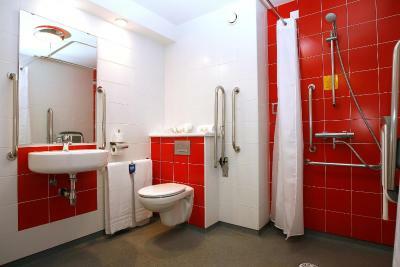 Minimalist room, no bedside tables or wardrobe, no toilet brush, very functionalist. 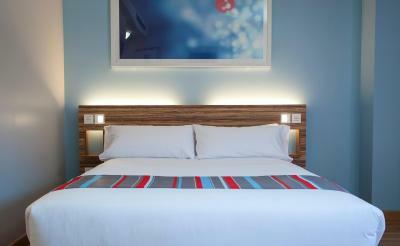 The beds were comfortable, the cleaner came every day, got new towels. We were on the 9th floor, and it was very quiet. The room service. They didn't change my bed sheet. They just turn the same bed sheet. Which was dirty. The bathroom was not clean. U can't take body bath as ther were NO SHOWER PIPE. T.V was very small . No English channel. I just ask for addapter for charging the reception people ask for 5 Euro. I ask pen and they said they is no pen. And last when I checked in they took 10 Euro as a city tax. Totally unhappy. Only breakfast was good. And the location. I payed 3 times for parking. Automatic parking machine showed 2 times that my debit card is not accepted. I had to use credit card which was accepted. Finally I was charged form debit card twice despite information on the screen during the payment that card is not authorized. Size of bathroom. Bathroom ventilation always on. Bathroom kinda smell. Paid wifi speed a little bit slow. No iron in room, although you can collect from the reception after leaving a EUR 10 deposit. A very large group of children during breakfast which slowed down my food collection. Check-in (on Sunday afternoon) was a little bit slow. Not a business traveller hotel. 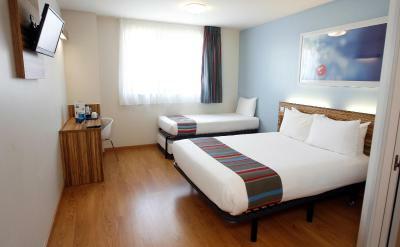 The rooms were clean and the bed comfortable. Desk provided for work. There was liquid soap and shower gel in the bathroom. Breakfast was tasty and more varied than I expected. The staff were smiling and friendly. The hotel bar serves drinks and a decent paella. 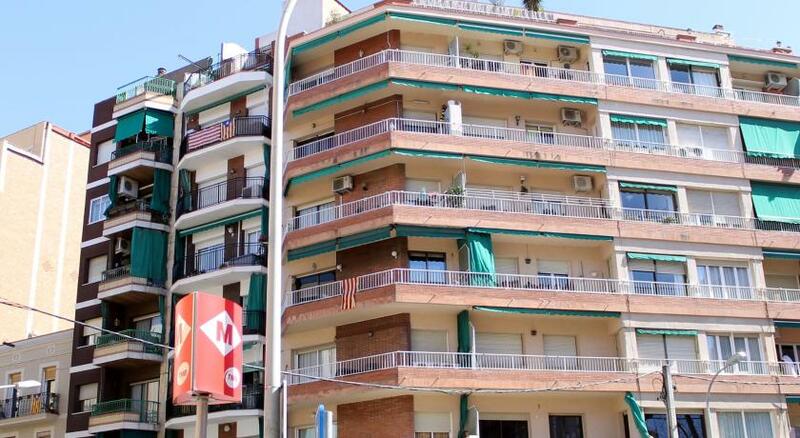 The hotel is located walking distance to the seafront and a metro station, as well as the Rambla del Poblenou, which is packed full of bars and restaurants with outdoor seating. No kettle and hair dryer in the room but at the reception, free WiFi only in lobby. Very fast check-out. 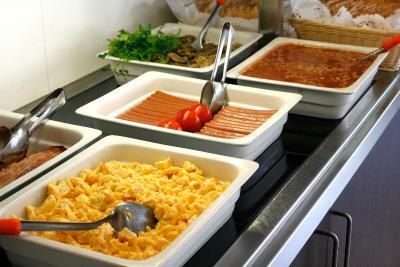 Very friendly, helpful and professionl hotel staff, tasty breakfast, comfortable room. 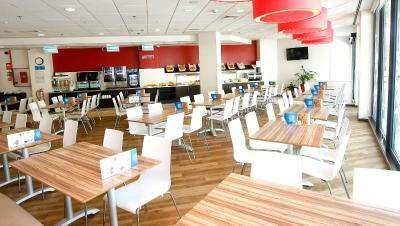 Super nice and helpful staff and the breakfast with a great selection of food. 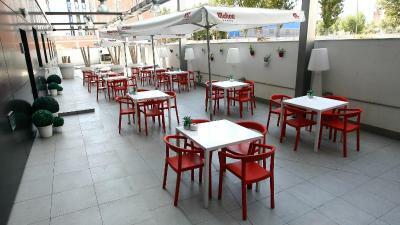 The location is just great-quiet place and close to almost every corner of the city. On top of that super clean room! The reception did not answer my call the day before. When I dialled to the number of the hotel I was told that I was a client of booking and that I had to use the other number provided!! !